Nike designer Tinker Hatfield has given the world hope that the future is, indeed, now. Hatfield, speaking at Jordan Brand's Flight Lab space in New Orleans teased, "Are we going to see power laces in 2015?…To that, I say, YES!" 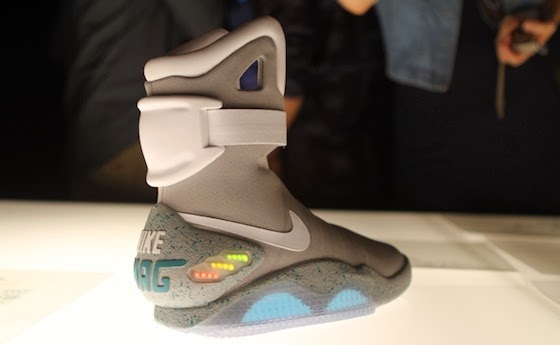 The Nike Air Mag sneakers made their first appearance in Back to the Future Part II, showing us smart clothes that adjust to the user's specific size. The scene (like you haven't seen it a thousand times) features Marty McFly slipping his foot into "future clothes" to fit in with "future society." The shoes light up, adjust to his foot size, and then lace themselves up. Back in 2011, Nike release a version of these shoes to 1,500 lucky auction winners, with benefits going to the Michael J. Fox Foundation. The endeavor raised $6 million for Parkinson's research. The shoes did light up, but they did not tie their own laces (a key feature). Now it looks as though a new version of the shoes might be released in 2015 with the original light accents and self-tying laces. Was Hatfield actually serious in his comments, or just trying to get a round of applause for fun? Who knows, but hope floats and so do hoverboards. You made a time machine...out of LEGO? Over the years, Back to the Future has remained as popular as ever. Making the rounds are a variety of exclusive models of the DeLorean (LEGO, Hot Wheels, etc) and the annual "Future Day" meme. The meme seems to go out annually, trying to trick people into thinking "today is the day Marty McFly traveled to." For your reference, the real date will be 21 October 2015. This year, however, The Michael J. Fox show featured a guest appearance by Doc Brown himself, Christopher Lloyd. In the long, run, these shoes may not actually be released. If they do, it may be a limited run and for charity again. 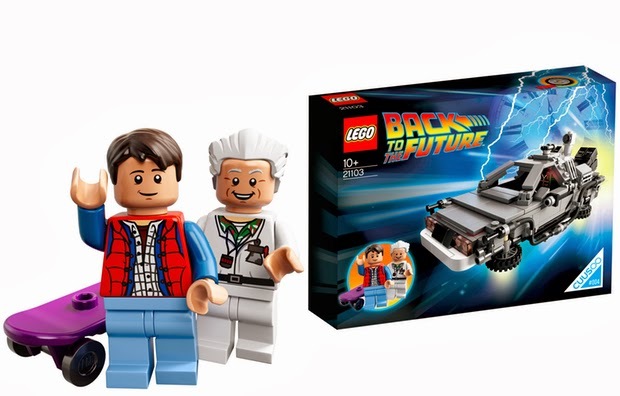 Either way, 2015 is going to be a popular year for Back to the Future merchandise. What do you think? Would you own a pair of these shoes? Even just for charitable purposes?